Product prices and availability are accurate as of 2019-04-24 16:28:55 UTC and are subject to change. Any price and availability information displayed on http://www.amazon.co.uk/ at the time of purchase will apply to the purchase of this product. 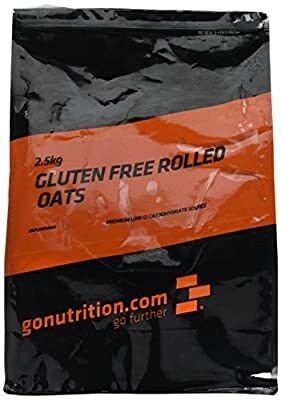 The Gluten Free Rolled Oats, 1 kg by GoNutrition are one of the two whole grains Dr. Dressler recommends in the Dog Cancer Diet. In the Dog Cancer Survival Guide, Dr. Dressler recommends whole grains like rice and steel-cut oats as they are heathy and nutritious, filling and as they are much lower on the glycemic index than white rice or wheat, the levels of sugars being released into the bloodstream are lower which is so important seeing as cancer loves sugar. We hope this helps in creating the Dog Cancer Diet!